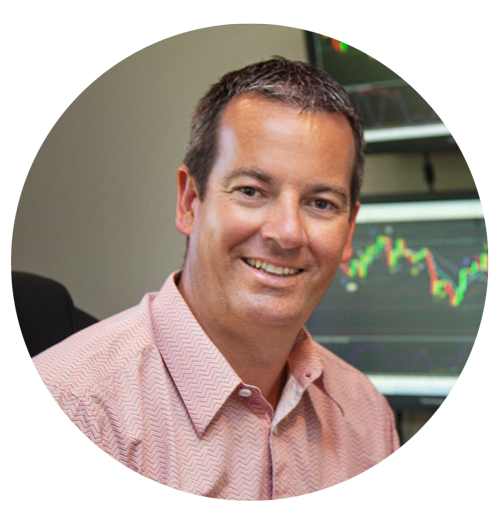 Hi everybody, Andrew Mitchem here, the Forex Trading Coach. Today is Friday, the 31st of August and welcome along. It’s been an interesting week and its actually been quite a mixed week – not a particularly easy week for trading. Not been too many news events, but at the end of the week, it’s been the Jackson Hole meeting in the States, and that’s going on right now as I speak, and thats thrown me personally out of a couple of trades that I was in. This time yesterday I was long on the Euro US Dollar, the Pound US dollar, and the Pound Yen. All three were looking really good heading into the European session and then as the US session kicked in, the three trades were stopped out all of a sudden as the strength can back into the US dollar. And like I mentioned last week, you know, that’s the way that trading happens. You’ve got to take those losses. At the time they look really good trades – So I took them. I saw no reason not to take them and saw no reason to close them early or anything like that. So really that is part of trading and it’s something that as traders we need to accept those loses. The set ups up at the time I took them looked good in my opinion. It also stresses an important point that a high risk to reward trading is really, really important. So I'm talking about trying to get a two or three to one risk to reward. It also means that a low risk per trade is also important. Those three trades that went wrong yesterday, it's not great, I'm not please with it, but it’s not a big dent into my account. By having that control risk, whatever your tolerance might be with half a percent per trade, or quarter, or in one percent per trade. Whatever it is that you’re comfortable with, it's important to stick with that level all the time. For me on those trades yesterday, I was trading because there were daily chart trades half a percent, so I lost nearly one and a half percent. I had a couple of smaller gains through positions that entered into the market but the retracement trades of all three got stopped out. Luckily I’ve made up for that on some of the shorter timeframe trades and right now behind me here I have a sell position on the Australian Dollar / Japanese Yen that put in today, Friday and that’s a short position and that’s looking really good right now. Not too far away from profit. So if that has a two and a half risk reward, which it does it, that will make up a lot of yesterday’s losses. So that’s what I mean about high risk reward and low risk per trade. On the longer term of the Silver that I mentioned last week, that’s a comeback a little bit. It got to that 31.25 earlier in the week. It's come back slightly but that’s fine as it’s a longer term buy and a hold position. I took a short position on Gold and that was a really good trade. Interesting though because, I took a short on Gold and long on Silver – Because they’re taking a two completely different timeframe charts – that's possible to be long on one or short on another if now the two are highly correlated trades. With the shorter timeframe trades there's not been a huge amount this week. Like I mentioned the Jackson Hole event in the States has been a quiet big news event which is just kept the trading quite thin. Really like I mentioned, the US is looking quite weak yesterday and all of a sudden crashed. All the currency pairs crashed and the US strengthened. The Australian and the Kiwi have been particularly weak, all week long, and there's been some good opportunity to go short on the Australian/US dollar and the Australian/Yen, same with the New Zealand Dollar. So that really summarizes the week as we head into September, I’ll be anticipating some more price action as the European and the Northern American markets come back into play after their main summer holidays. So, wishing you a great weekend and fantastic trading week, heading into September.